So what if vaccines can cause autism (which they don’t)? In 2008, roughly 1 in 88 kids was found to have some kind of autism/autism-related disorder– that comes to about a 1.1% chance that your kid will just have it, not that it’ll be caused by vaccines. Now ask yourself, would you rather have a 1.1% chance of your kid being autistic, or slightly reduce that chance (not eliminate it) and have you and your kid live in a world where polio, TB, hepatitis, rabies, measles, rubella, and ****ing smallpox plague the earth? Yeah, that’s what I thought. Anti-vaccine people- your views are as dangerous, heck, malevolent as they are willfully stupid. I’m putting this one up front because of how potentially disastrous it could be. Over the past few years, elements within the US (and no small part of the Israeli apartheid government) have been insisting upon a war with Iran, largely justified by the country’s pursuit of a nuclear program. The concern is that Iran will develop nuclear weapons, and while that has yet to be definitively proven it is, nonetheless, a pretty unfounded fear. Firstly, if Iran had nukes it’d still lack the capability to strike America. That is, of course, based upon the idea that it would want to, which is in itself a myth stemming partly from xenophobia and partly from the fear-mongering of the media. It is also feared that Iran, armed with nukes, will strike Israel, which is again just so, so mind-bogglingly dumb. If Iran were to do so it’d wind up slaughtering millions of Palestinians, who make up the vast majority of the region’s population. It’d additionally irradiate the so-called “Holy Land”, including the Dome of the Rock, one of the holiest sites in Islam. It’d be kinda like saying the deeply Catholic IRA wants to bomb Rome. Lastly, it needs to be remembered that along with nukes comes a little thing called “fallout”- basically a humongous cloud of radioactive poison which isn’t known for its respect of national boundaries. Quite simply, to nuke Israel is to also nuke Jordan, Syria, Lebanon, Egypt- heck, the entire Mediterranean. You remember the fear that radiation from the Fukushima nuclear power plant would hit California? That’s radiation traveling the whole way across the Pacific- what do you think the effects of a nuclear bomb would be? Yet politicians on both sides of the aisle shove this lie down the throats of the public who, honestly, don’t put up much of a fight when it comes to being told that foreigners are evil. Look, I get that we’ve had some issues with nuclear energy- stuff that’d make anyone a bit leery- but come on, people. Chernobyl happened because of terrible technology, worse luck, and missing safety features. For all the jokes The Simpsons have given us over the past couple decades, the simple truth of the matter is that the technology we have today is better than, you know, mid-80s Soviet Ukraine. Is it perfect? Absolutely not, but as of right now, it’s one of the cleanest, and yes, safest, alternatives to drilling, coal mining, and fracking. 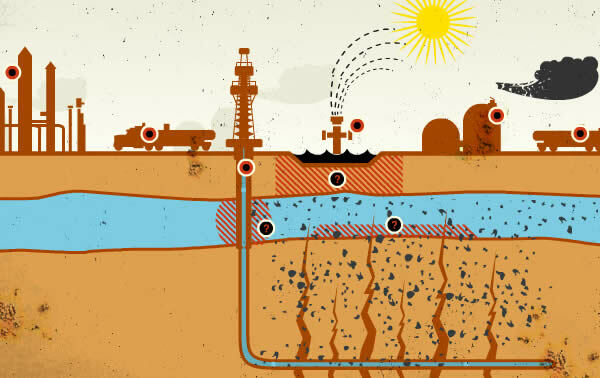 Fracking: Because flammable tapwater is awesome. Yet we’re still pushing back against this because of these irrational fears about nuclear energy, and as a result, the environment is suffering for it. I get that the image of glowing green goo has been pushed on us for years, but maybe- just maybe- comic books and TV shows aren’t the best sources for decisions about your local power grid. I’ve heard this about a few different people now, though Darwin is usually the primary target here. Now it’d pretty easy to point out that more often than not, these are wholly fabricated, or based only upon the loosest hearsay or 3rd-hand evidence, but yet again, we’re dealing with myths that’d be irrelevant even if they were true. It’s just demonstrative of the surrender of reason that goes into these things. People think that just because ______ changed his or her mind, any argument he or she made- all the reason or evidence or theory developed- somehow goes out the window as well. It’s like saying “Eddy said ‘1 plus 1 equal 2, as is evidenced everywhere in nature, but Eddy changed his mind before he died, therefore 1+1 does not equal two. '” Is it dangerous? Not especially- it’s just agonizingly dumb. When one doctor wants to perform chemotherapy and another wants to perform an amputation, the best option is not a compromise between the two. There simply isn’t always a middle ground and “the truth is somewhere in between” is more often than not just a thought-cancelling truism we march out whenever we don’t want to commit to an extreme concept. It gives “moderation” a monopoly on reason (heck, the two have been used interchangeably- see John Stewart’s tagline for his “March to Restore Sanity” as a “Million Moderate March”). Worst yet, this myth vilifies radicalism- which isn’t just wrong, but full-out toxic when it comes to questions of morality and social justice. Would you tell segregationists and civil rights activists to “compromise” or “find some kind of middle ground”? Of course not. Some things are black and white and pretending otherwise is cowardly. It might sound like I’m being harsh here, but people have died and we risk wars for the acceptance of these simple falsehoods. 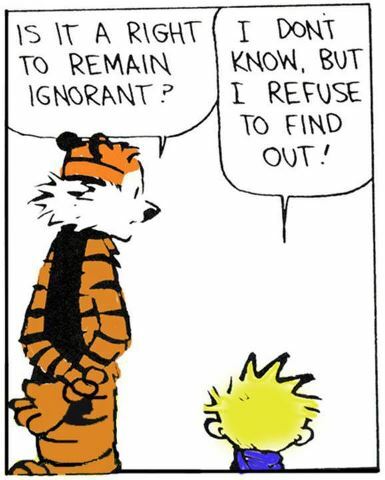 Readers- I don’t think you have a right to ignorance, and certainly not at my expense. This entry was posted in America, bizarreness, health, morality, news, politics, science and tagged austism, coal, compromise, Darwin, disease, drilling, dumb, fracking, ignorance, Iran, israel, mining, moderate, moderation, myth, myths, nuclear, nuke, nukes, plague, polio, postmodernism, power, recant, smallpox, stupid, TB, truth, vaccines, weapons. Bookmark the permalink.